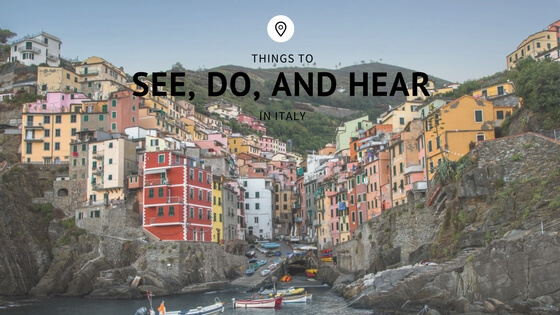 If you’re looking to spend your next vacation indulging in delicious food, great wine, and breathtaking views, look no further than the country of Italy. Italy is the home of some of the world’s first influential civilizations, so there is plenty of history to be seen. Here are some of my favorites from the trips I’ve taken over the years. If you’re a history buff like me, you’ll want to make sure you spend some time in Rome. Rome is home to many of the most historical sites in the world. My suggestion is to take advantage of the many local tour guides. Arrive at places such as the Colosseum and the Roman Forum early in the day to avoid the crowds. Vatican City is also a place you’ll wish to tour. See the amazing art that lines the walls of St. Peter’s Basilica and stand in awe of the Sistine Chapel. Don’t forget to throw a coin in the Trevi Fountain and make a wish! This historic city lies in the heart of Tuscany. Great food and wine are sure to be abundant. Ask your hotel or hostel where all the locals go to eat to get some of the best Italian culture. Take a walking tour around the city to see the Duomo di Firenze and climb the bell tower for a breathtaking view of the city. Learn the history of the House of Medici and their collection of art. Rub the snout of the Porcellino, a bronze fountain of a boar, to ensure your return to Florence. Buy a bottle of wine and head to the steps of the Piazzale Michelangelo for an incredible sunset. The country of Italy is a peninsula. Some of the most astonishing views of Italy can be found along the coasts. Visit the five towns that sit along the Mediterranean Sea just above the region Tuscany. Cinque Terre is translated to “five lands,” and is made up of these five towns: Monterosso, Vernazza, Corniglia, Manarola, and Riomaggiore. Many food and religious festivals are held here so plan your trips accordingly. Take in the beautiful scenery and dine at some of the most delicious restaurants in the region.